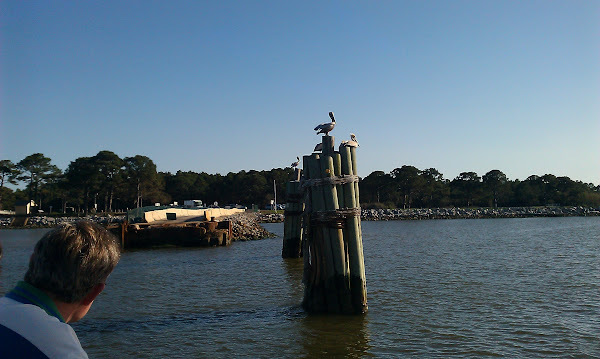 Since it was such a nice day when we left Bellingrath Gardens, we decided to take the Dauphin Island to Fort Morgan ferry. 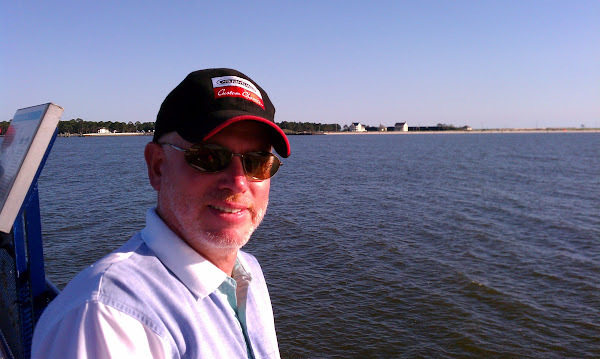 We had taken the ferry last year and knew that the 35 minute ride would save us some time and eliminate the hassle of driving around Mobile Bay during rush hour. 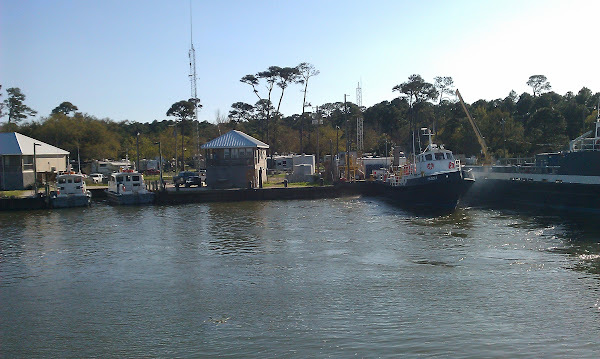 The schedule showed a ferry leaving Dauphin at 3:30 p.m. so before leaving Bellingrath, we decided to call (251-861-3000) to make sure the ferry was running on schedule. It had been shut down a couple of days prior due to high winds. According to the automated recording for that day, Monday, the ferry was on schedule. 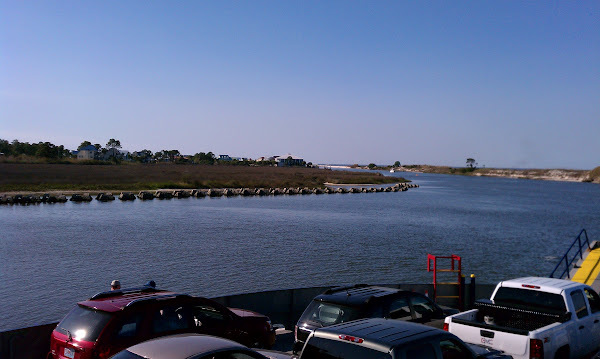 Also there were no Twitter posts (@mobilebayferry) indicating any cancellations. 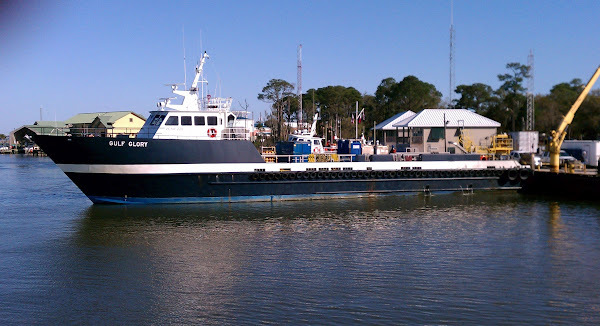 Normally they have two ferries running but the Marissa Mae Nicole was in dry dock for a propeller repair so only one ferry, the Fort Morgan, was operating. 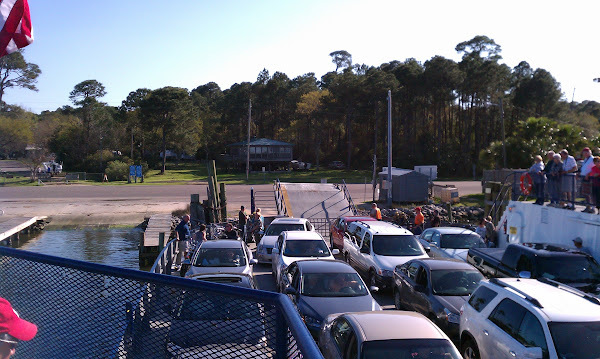 According to the GPS lady (Mrs. Garmin), our arrival time would be around 3:15 p.m. – we were hoping that there would be room for us because the next ferry wouldn’t leave until 5:00 p.m. A one way ticket for the car and driver is $16; round trip is $30. Each additional passenger is $4.50. Without a vehicle, the fare is $5 each way. 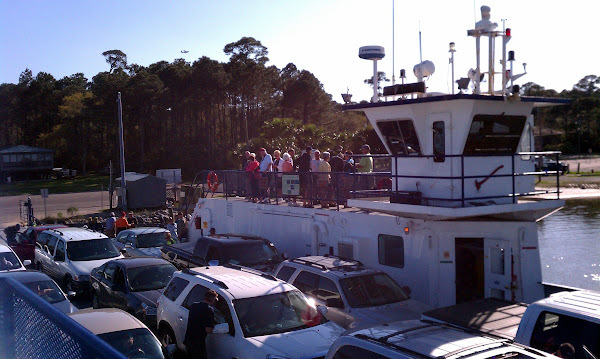 When we arrived (at 3:15), we pulled into the fenced in two lane waiting line. The car spaces were marked and numbered – we were number 24. 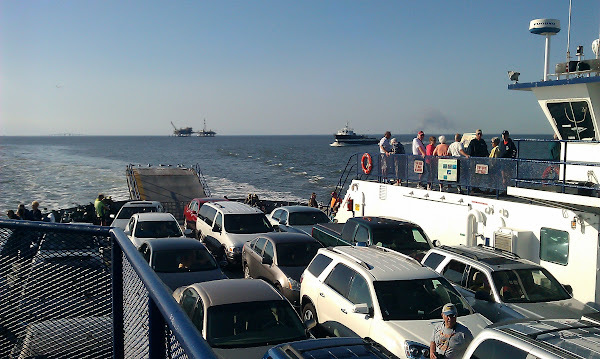 A sign indicated that only 18 cars could board each ferry. Oh, oh! If we didn’t get on the 3:30, would we have to spend the next 1 1/2 hours corralled in the line? Shortly after we arrived, one of the attendants came walking by and made the comment that everyone in line should fit. Just as a note there was a camper (small Class C) in line and the attendant stopped to talk to the driver at length. As the line moved to drive on board, the camper pulled out of the line and drove off. Since their brochure shows a $35 charge for motor homes, the impression I got from the recording was that campers were not being allowed with only one ferry running due to space. They probably weren’t happy campers, but we were, since it meant that our chances of boarding were much better. 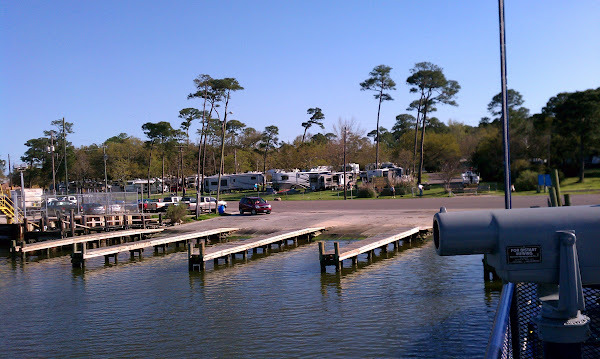 Speaking of RV’s, across the street from the ferry is the Dauphin Island Campground which didn’t look too bad although we didn’t have time to actually drive into it. It did look like there were some big rigs in there. 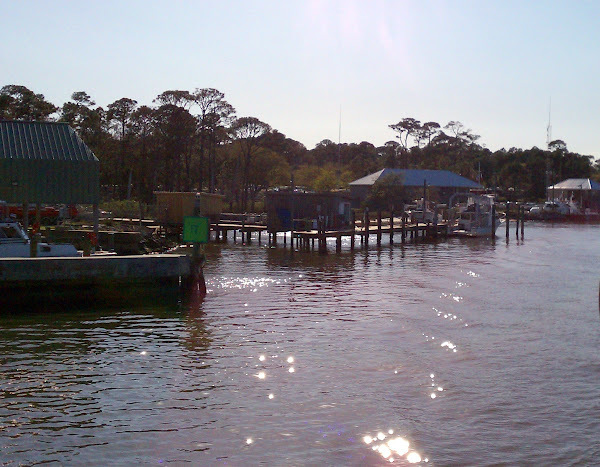 There is another campground on the island – Pelican Nest RV Resort . We may take our bikes over so we’ll have to check both of these out. 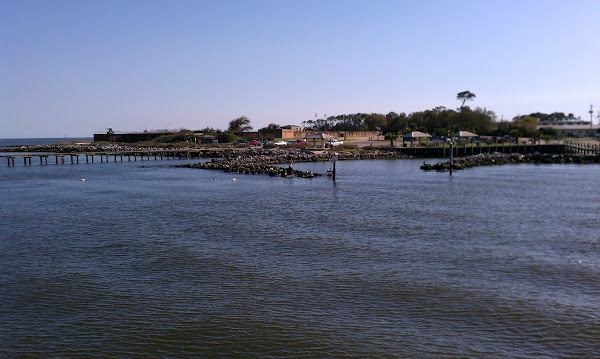 Also adjacent to the ferry dock is historic Fort Gaines, site of the Battle of Mobile Bay and spanning 3 centuries of history (“Damn the torpedoes – full speed ahead!”). 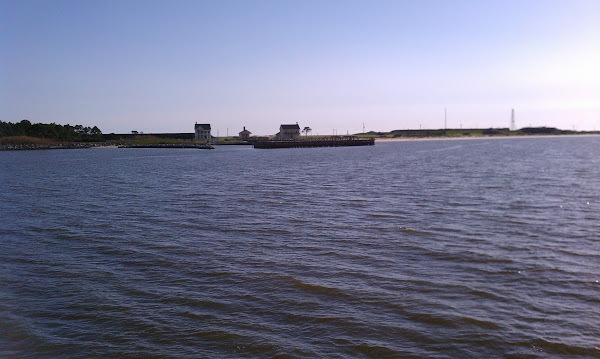 Fort Gaines here on Dauphine Island, along with Fort Morgan to the east on the mainland, guard the primary entrance to Mobile Bay. Anyway we made it on board the ferry! After everyone was settled in, Rob counted the vehicles and there were at least 34 plus a few motorcycles as well – the 18 vehicle limit stated on the sign must be a CYA for extreme situations. They collect the fare on board so Rob waited beside the van to pay, then came up to the upper deck to enjoy the view. It was a beautiful day so the 35 minutes crossing was quite relaxing. Lots of pelicans to watch dive bombing in search of their next tasty meal and a few dolphins off in a distance kept us amused during the trip. 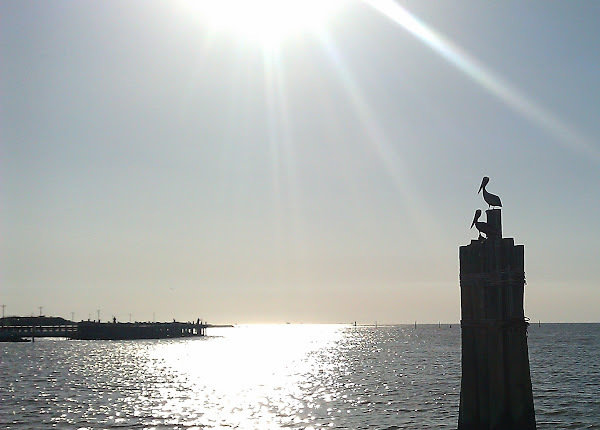 As the pelicans floated while enjoying their catch, gulls would land on their heads and backs trying to steal it away! 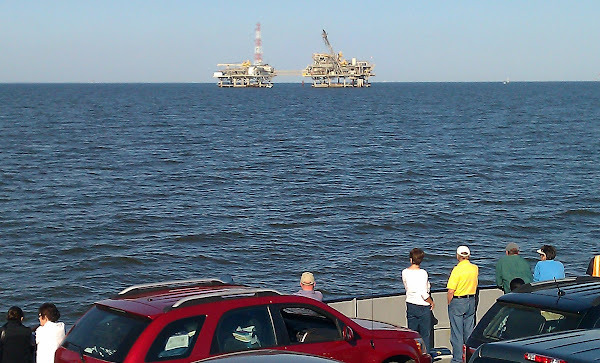 Along our route there were a number of natural gas rigs – the water here is shallow, only 10′ or so on average, but the drilling goes much deeper of course. The ferry finally landed and we disembarked. 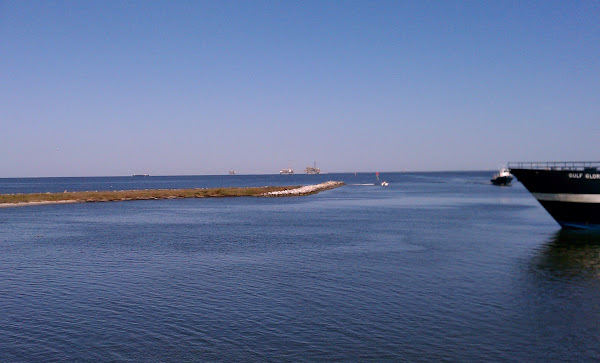 As you exit the ferry, immediately to the right is the entrance to Fort Morgan. Fort Morgan is another historic masonry star fort which served in the Civil War, the Spanish American War and both World Wars and played a major role in the Battle of Mobile Bay in 1864. We haven’t actually visited the fort yet but we have heard that it is quite interesting so we’ll have to make it a point to go back there before we leave. Admission is around $5 for adults. It’s about a 45 minute easy drive from Fort Morgan to Orange Beach and Foley along the fairly scenic, not very congested two lane Route 180 aka Fort Morgan Road. 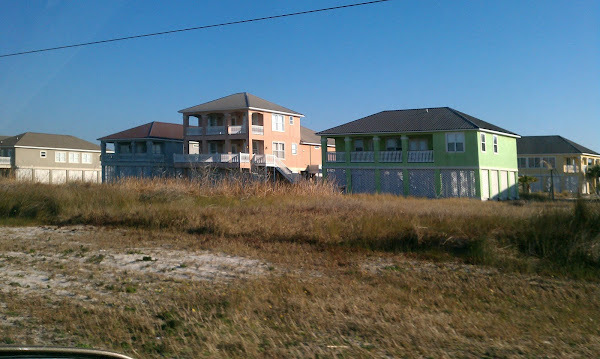 On either side of the road are colorful beach front cottages, a few campgrounds and a couple of restaurants (Tacky Jack’s has a location here). As the road proceeds east the terrain becomes much more forested so is unique for this area in that it is very close to the beach yet with nicely treed terrain. There is a very nice looking bike path (separated from the road) starting at Route 59 and proceeding west on Fort Morgan Road for a few miles. Last year, we saw major construction machinery on the beaches in front of the homes. 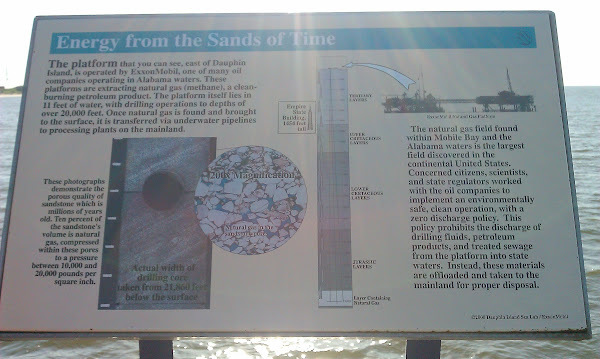 We learned later that they were digging up the sand, sifting it into dump trucks to remove any remnants of tar from the oil spill, then dumping it in the same spot. This was somewhat controversial – what damage did this do to the critters that lived in the sand? We didn’t see any evidence of that this year so hopefully most of the clean up has been completed. 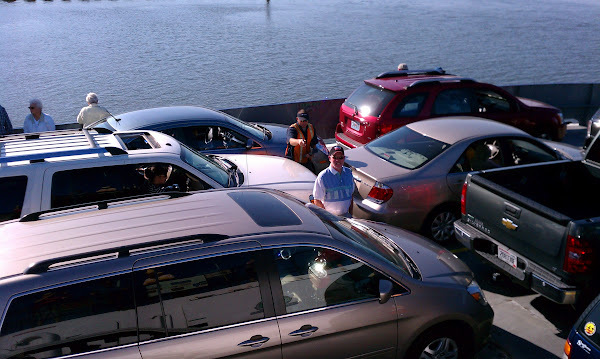 As we got a little closer to Orange Beach and Gulf Shores, the traffic became a little more congested. We finally arrived back home shortly after 5:30 p.m. It was a very enjoyable day to say the least!